In the past, I have never been one to enjoy home workouts. I much preferred going to the gym to do cardio machines and classes and (of course) socialize! I generally need someone coaching me through a workout or I’m just not going to push myself very hard. I only really did home workouts while traveling or when the weather was particularly bad using YouTube or an old DVD. Since getting a treadmill and buying a year-long subscription to the audio coaching app Aaptiv, I started to LOVE the convenience of having a machine that could really make me sweat just off of our family room. I bought a set of 15 pound dumbbells for strength days, and I now look forward to my home workouts. The key for me was the treadmill. I can only run so many 5-foot long sprints back and forth across my living room or do so many jumping jacks. On the treadmill I can run really fast and get my heart pumping out of my chest. Even though there is only one direction to go, I feel like there are a million different running workouts. But best of all: I can fit workouts around Birch’s nap schedule and maximize my time. All of this to say that the combination of a treadmill PLUS the coached workouts from Aaptiv led to me loving home workouts. You’ve gotten bits and pieces of my home workout changes thus far. 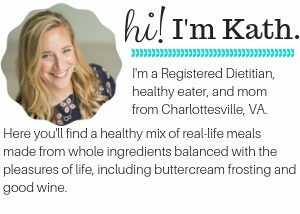 Posts about easing back into fitness after having a baby, an update on feeling normal, a nap time circuit workout, my new treadmill review, and a few Aaptiv workout favorites sprinkled in. 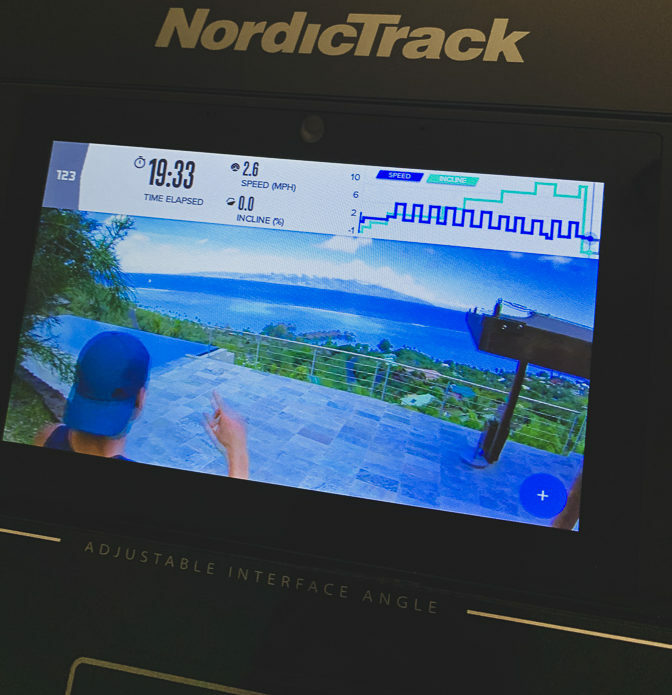 As you saw in my treadmill review post, I bought a NordicTrack C 990, which came with a built-in video screen and a free year of iFit. Since buying my treadmill, I have been using both Aaptiv and iFit and loving both for different reasons. 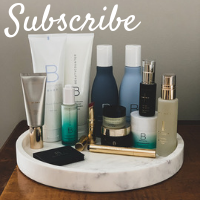 None of this is sponsored by the brands – just me sharing my experience using both! A monthly subscription is $14.99 (which I think is high!) A year is $99. And if you can find a coupon (they emailed me on!) you can get it for $59.99 like I did. Great searchability. Choose a workout based on what you’re in the mood for in just minutes. Great music!!! The music is loud and prominent. Take it anywhere. No equipment needed. Use it at the gym or at home! HUGE variety of workouts and never-gets-old selection. Save workouts as favorites and do them again and again. I’ve used it for outdoor runs and got a great workout. Usually I just listen to a podcast, which obviously does not lead to a very hard workout (more like an easy jog) so when I put Aaptiv on I run so much faster and harder. You can’t see the playlist in advance. Wish you could! Because like a good recipe, it’s more fun to do other people’s workouts. The coaches are so motivating and filled with positive encouragement, quotes, etc. They keep me very entertained! I push myself harder than I would alone. The variety of workouts is great, and I sometimes will string two to three short workouts together to make one long one (like upper body strength, lower body strength, yoga.) 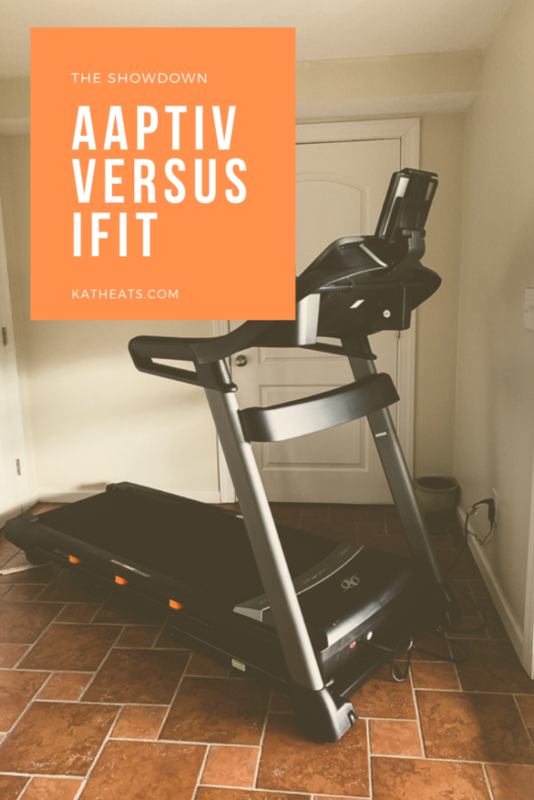 Since getting my new treadmill with iFit, I haven’t been using Aaptiv for running anymore, and I use it mostly for strength and bootcamp classes. A subscription-based video app that is used exclusively with iFit compatible cardio machines. Classes are led by coaches who lead the workout, motivation you and automatically adjust your speed and incline, which means there is no cheating! (Although you can override the workout at any time.) There are tons and tons of workouts filmed all over the world in exotic locations plus studio classes that feel like you’re in a boutique studio. You join programs and assign them to a calendar and when you hop on your machine the day’s workout is waiting for you. I am pretty sure if you purchase any iFit compatible machine you get a free year. Otherwise it’s $15 a month or $180 a year for a single membership. The automatic changes to your speed and incline are AMAZING. 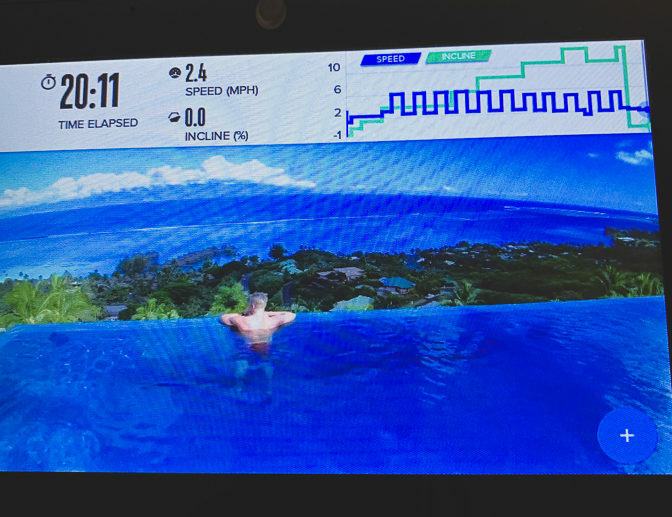 Whether you’re hiking a mountain in Hawaii or running with others in a treadmill studio, it’s so, so great not to have to touch your machine, especially if you’re running fast intervals! I love the screen setup and that you can see a little graph of your incline and speed to know what’s coming up. This is especially helpful on interval days when you need to know how many sprint intervals you have left until you’re done! It sounds like a cheesy pitch to say “you’ll travel all over the world” but it’s TRUE! I really do feel like I’ve spent time in Bora Bora now, and I can tell you all kinds of fun facts about the islands; like Tahiti is where tattoos were invented! The visuals are so pretty, and I took me a long time to figure out how they were recording the workouts because the camera stays SO steady! I accidentally saw a shadow once and there is another person with a camera on his/her head who is following the coach. They use drones and maps, and the quality is awesome. You have to own an iFit compatible machine, so that’s obviously very limiting and cost prohibitive to most. The music is practically non-existent. This hasn’t really been a problem for me because I am working so hard I have my coach as my motivation, but it’s something to note if you have to have beats to get motivated. The iFit library is VERY poorly organized, and it took me a long time to figure out that I had to join a program and then it would add to my calendar. While I have grown to love the fact that my workouts are organized in a calendar, it would be nice if iFit also offered an easy way to search and save workouts to do in the future. From a DM I had with their team, it sounds like that improvement is in the works. I have no idea how my coach decided that a jog for me is 5.0, a run is 6.0, a fast run is 7-7.5 and a sprint is 8.0/8.2 but they nailed it. The speeds are perfectly challenging for me. Which might not be so great if you are slower or faster than me! I don’t think you can change them other than overriding the workout, which takes out the automatic change feature. It would be nice if you could enter in your own levels, but then you might be tempted to make your actual run your sprint so you wouldn’t be as challenged! I’m not sure but it’s something to note. I think the answer is easy: get both! But if you don’t have an iFit machine, Aaptiv is awesome! I love them both and use them both for different kinds of workouts, but ultimately I think the iFit experience is the best home workout I’ve ever done. I’ve been using iFit for treadmill running during the week while Birch naps and Aaptiv for outdoor runs, strength, yoga, and workouts on the go! I imagine I’ll use Aaptiv more often for outdoor runs as the weather warms up. Aaptiv has a great free trial so you can try it out first – that’s what got me hooked to start! Thanks for the great review! You can view your history on Aaptiv if you go to Profile and Full History. It is a nice way to go back to a class you enjoyed! Thank you!!! I knew there were probably things I just hadn’t discovered yet – but they also need to make these easier to find. That’s so great to know. I love working out at home. I don’t own any home machines, just a few hand weights and bands, etc, but I love some of the fitness Youtube channels, such as Fitness Blender. Thanks for your comparison of these two options. I have to ask a question about your treadmill though. I hope you don’t mind, but it looks like it’s blocking a couple of doors. Is that an inconvenience for you? It is blocking the door to the storage room, and yes that’s a little annoying. But it would be more annoying to have to fold it up everytime because we don’t use the storage room all that much. We can’t slide it over to the bench side of the room because there’s no outlet. Ultimately it would be great to finish the storage room off so it could be a hybrid storage/workout room (it’s not heated/cooled or insulated) but we’ll cross that bridge if we have to. Just read your comparisons- very good info, thanks! Will share with my sis who has both apps. Eventually, I may have to get the IFIT, but am really loving the aaptiv and am happy to know now the way to retrieve favorite workouts. Great post! I also recently signed up for Aaptiv and I love their strength workouts! I do a lot of streaming at-home workouts like Peloton, health dot com, and popsugar type stuff, so took some time to get used to “just” listening for the cues. Actually you can google discount codes and easily find one for 50% off- comes out to 49.99$ for the year!! Is there any other way to turn the treadmill? The space between back of machine and wall should be 2 – 4 feet (gyms, associations & treadmill companies vary on exact) but basically, if you lost control/footing, there should be space for you to fall and not still be touching the fast-moving belt (especially during workouts with constantly varying speeds). Safety note complete, thanks for the reviews! With baby on the way home workouts will be my life for the next year! I have thought about this, and I need to be wearing the little safety strap thingy too.